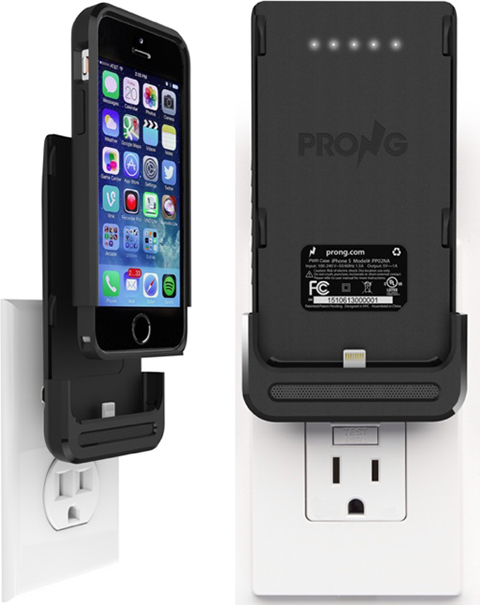 Prong has introduced a new iPhone case, called PWR Case. The PWR case includes an integrated plug for charging the iPhone, but it also comes equipped with a 1500 mAh detachable backup battery. The iPhone and the backup battery can both be charger with the build-in plug. The Prong PWR Case includes a detachable backup battery and integrated plugs for charging in any outlet, along with a Micro USB port and cable. The backup battery is easily detachable and can be recharged without any additional accessories while the smartphone remains with the user, safe in the inner-protective bumper. No matter how much someone uses their phone, they can have power all day with the Prong PWR case and their phone never has to leave their side. The battery can be detached and plugged into any outlet to be recharged whenever needed. Once the back-up battery is charged, it quickly reconnects to the back of the case and the phone can then be recharged while on the go. 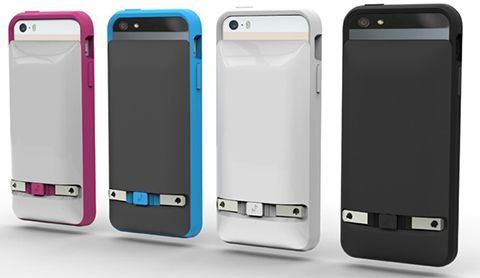 The PWR Case comes in multiple colors, including black, white, blue-gray, and white-pink. The case is available for the iPhone 5s and the iPhone 5, and can be preordered from the Prong website for $65. After the preorder period, the price with change to $80.